This is where you can find out more about some of the exciting work we do. Below is a sample of hydro and wind projects with which we are involved. Some of the projects are already completed, whereas others are “live” and updated regularly as they progress. Simply scroll down the page, click on a project that interests you and find out more. 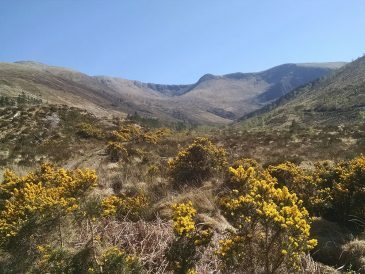 100 kW Crossflow hydropower scheme on Scottish Forestry Commission owned land in the Wester Ross area of the Scottish Highlands. Removal of an old Gilkes turbine, refurbishing the turbine house installation of a new Crossflow turbine in Cornwall. Gleann Dubhlin 100 kW Twin Jet Pelton hydro turbine designed and installed on West Harris. Lady’s Dingle: 45 kW Turgo turbine for Snowdonia National Park site. 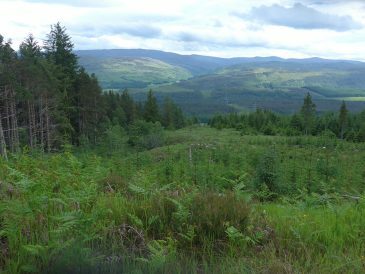 This hydropower scheme is located at Allt na Fearna, a Forestry Commission site in Scotland. 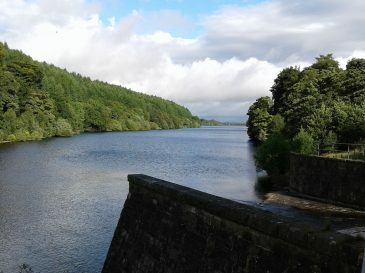 This scheme is owned by United Utilities and features a 100 kW Francis turbine located on the Errwood reservoir, Derbyshire. 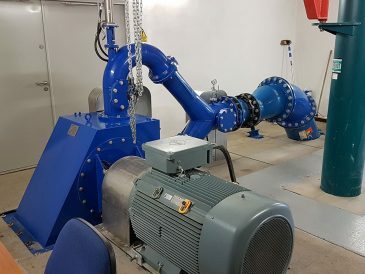 Hydropower refurbishment project – 75 kW 1920’s Gilkes turbine replaced with modern 90 kW turbine. This hydropower scheme is located on the Afon Ogwen on the Penrhyn Estate, Cochwillan, North Wales. Designed by Renewables First, the Radyr Weir hydro scheme makes use of 2 x 200 KW Archimedes screw turbines. Nestled in the Snowdonia National Park, the Afon Gafr at Nant Peris will soon be home to a 350 KW Pelton Turbine. 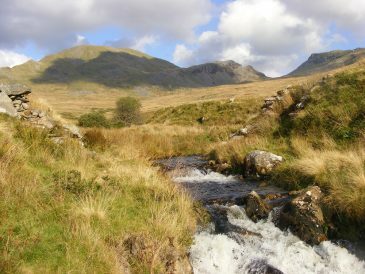 Brondanw Estate hires Renewables First to install a 100 kW Turgo hydroelectric turbine in Snowdonia National Park. Renewables First design and install the 224 kW twin Archimedes screw hydro scheme on the River Avon, Worcestershire. This 100 kW Archimedes screw turbine forms part of Durham city’s Freemans Reach riverside development. Renewables First project manage the installation of the EWT 500 kW wind turbine at Baulker Farm, Nottinghamshire. Renewables First design, specify and project manage the installation of the EWT 500 kW wind turbine at Blacktoft Nursery, East Yorkshire. Located on the River Kennet, this 60 kW Archimedes screw turbine will supply enough power for 78 English homes. 84 kW Archimedes screw turbine on the River Dart in an historic industrial site, previously home to five working mills. The first community owned project of its kind, Renewables First installed this high head hydro scheme on Dovestone Reservoir. 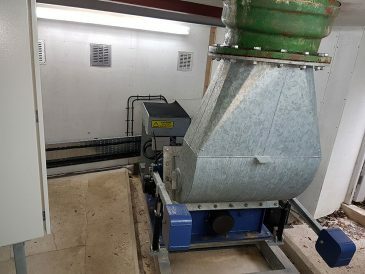 Small scale micro hydro scheme using a Crossflow turbine at National Trust owned working flour mill, Cornwall. Renewables First designed and project managed all aspects of the civil, mechanical and electrical stages of the installation. Located on the River Thames, Mapledurham Mill’s 99 kW Archimedes screw turbine was the largest of its kind at the time of installation. The 63 kW Archimedes screw at New Mills, Derbyshire, was the UK’s first community owned hydro scheme and fish pass. Located near Ashburton, Devon, and within the Dartmoor National Park, this scheme coexists alongside migrating salmon. This hydropower scheme supplies power to an historic working mill on the River Otter. 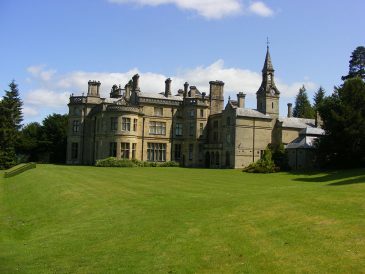 Devonshire. This hydropower scheme uses a Pelton turbine to generate power from a tributary of the River Exe, near Dulverton, Somerset. Located in the Peak District National Park, this high head scheme uses a Coanda screen and Crossflow turbine to supply power to the grid. This scheme was an integral feature of the newly created Rochdale Interchange – the first of its kind in Europe. 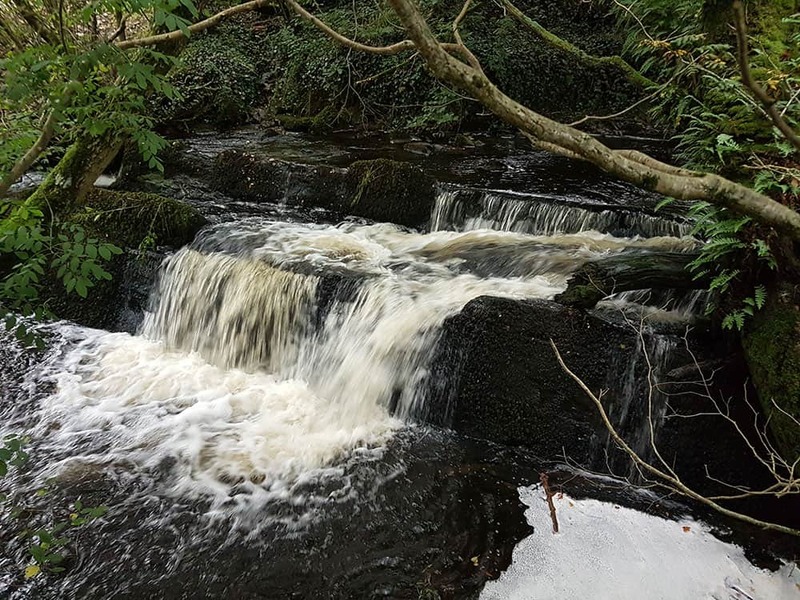 Located within the Dartmoor national Park, this high head hydropower scheme uses a 6 KW Pelton Turbine to supply a B&B. Located on the River Barle, The Dulverton hydro scheme features an 78 KW Archimedes screw turbine and state of the art fish pass. Close to the hamlet of Inchlaggan, this 32 KW turbine supplies power to holiday cottages and the local grid. Renewables First undertook the site finding, feasibility and planning works for the Norvento nED 100 turbine in Pembrokeshire. This scheme underlines our capability to provide intelligent refurbishment of historic sites using state of the art technology.